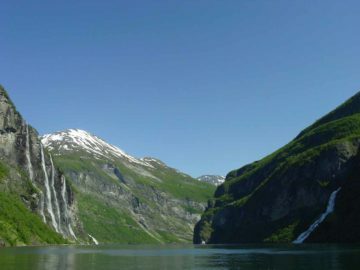 Waterfalls galore in Hordaland county – a region that contains a gorgeous mix of glaciers (such as Folgefonna), snowy mountain plateaus (such as Hardangervidda), and fjords (such as Hardangerfjorden, Eidfjorden, and Sørfjorden). 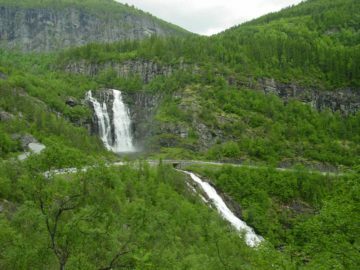 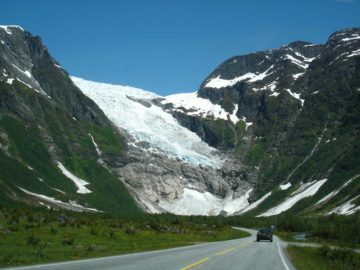 Given the abundance of melting snow from the lofty elevations of Folgefonna and Hardangervidda, it’s no wonder why this county has one of the highest concentrations of major waterfalls in the country! 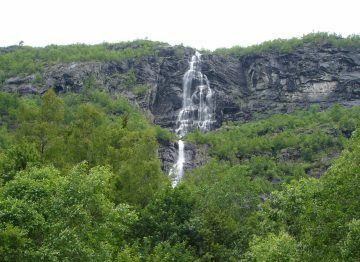 Julie and I could attest to the waterfall abundance as you can see from the quantity of waterfall write-ups we’re featuring on this page! 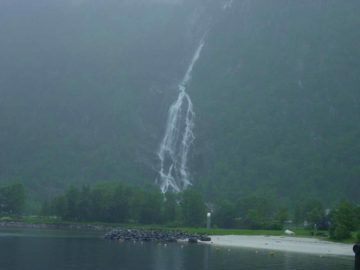 In one valley alone, there were five major waterfalls that we came across in Oddadalen Valley, which was also fittingly known as the Valley of Waterfalls. 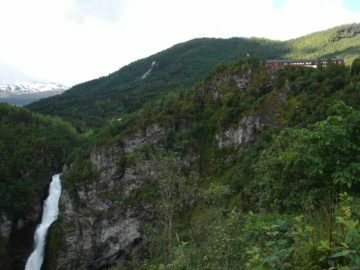 Headlined by the twin waterfalls of Låtefossen, we also saw Vidfoss, Strondsfossen, Tjørnadalsfossen, and Espelandsfossen among others. 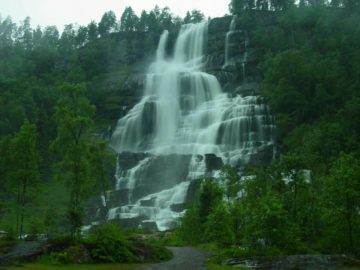 Not to be outdone, we also witnessed one of the tallest and thickest cascades we had even seen in the aptly-named Langfoss. 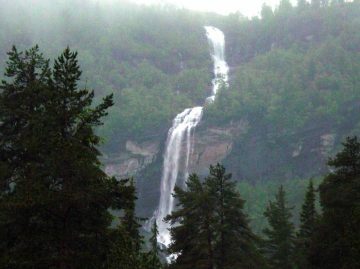 As if that weren’t enough, we witnessed four other major waterfalls in the unforgettable Husedalen Valley. 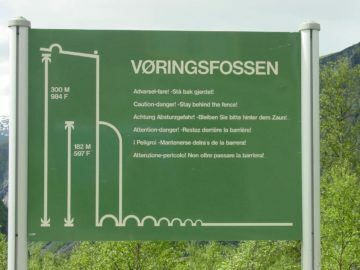 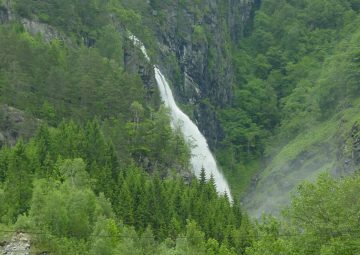 Plus, there was one of Norway’s most famous waterfalls in Vøringsfossen, as well as a Hardanger Plateau adventure to reach the remote Valursfossen. 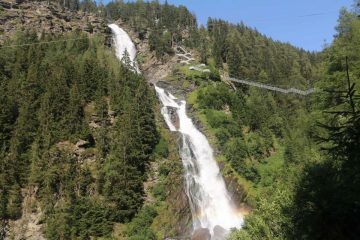 And contrasting the powerful waterfalls named so far, we even saw a graceful one near the town of Voss at Tvindefossen. 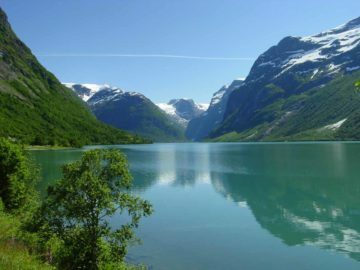 Moreover, we also stepped back in time to visit a couple of favorite haunts of Kaiser Wilhelm II who had also found time to be mesmerized by the Norwegian scenery and waterfalls at Steinsdalsfossen and the waterfalls of the serpentine road Stalheimskleiva. 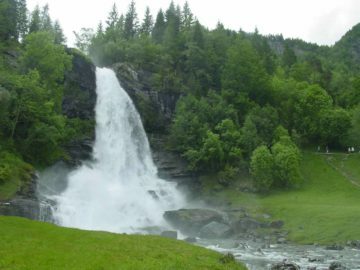 Indeed, we weren’t kidding when we said Hordaland County more than had its share of waterfalls. 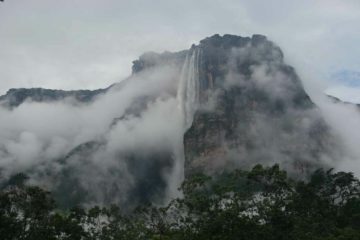 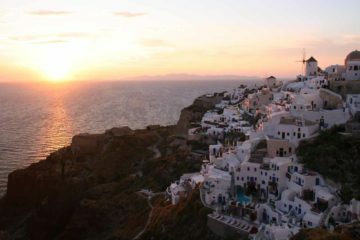 The ones we’ve mentioned above wasn’t even half the waterfalls that we personally witnessed! 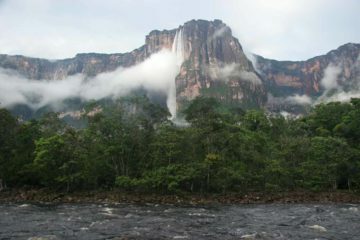 Plus, the waterfalls we did visit wasn’t even a small fraction of what could be found here!